Getting the first watering can that catches your eye is not the best choice: not only is it possible that it will not suit your garden’s needs, e.g. too small, too large, but also it is a waste of money in the end. As small of an item it is, the watering can requires at least a bit of research and consideration, in order to find the right one for you. First things first, it is necessary to look into just how big you would like your watering can to be. To determine its size, look to your garden: is it on the small side or larger than others? 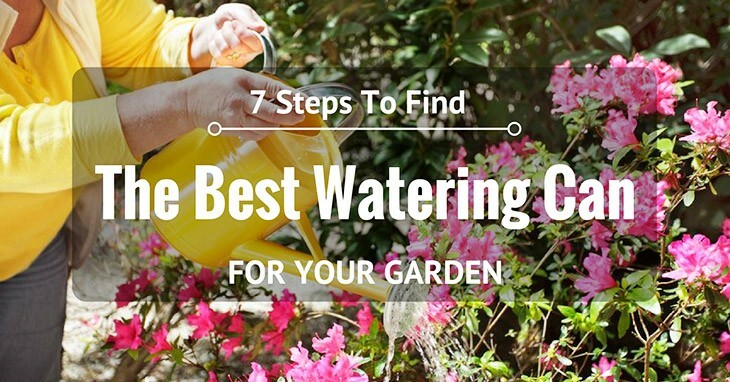 Asking yourself this question can better gauge just how you walk into a home and garden store to find the right watering can for you. As a rule of thumb, it is all about finding a middle ground: for instance, if you get a watering can that is too small, it can be a hassle having to fill it up constantly for a single garden bed. On the other hand, if you get one that is too large, it can be too heavy to pick up, let alone difficult to refill. Striking a balance between these two extremes will work out the best for you in the end. 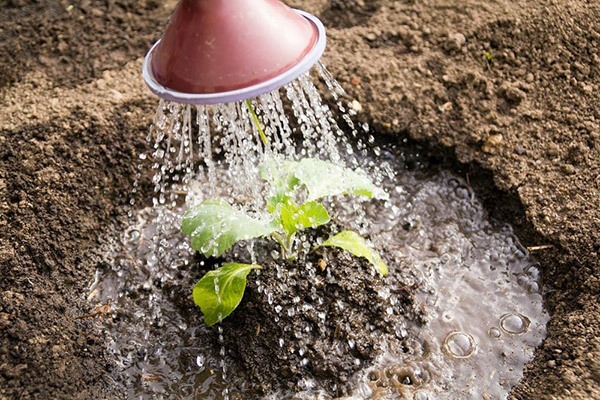 You might be surprised to discover that there are many different kinds of materials that watering cans are made out of. Of course, there is the standard plastic, cheap and popular, but it tends to wear down quite easily. There is also metal, but it can get painfully hot, even shocking users, when left out too long in the sun. Other types of watering cans include ceramic, but they tend to be fragile and rather used as display items in the backyard. Finally, there is copper, which is great to use, although it starts to develop an oxidized film on the surface over time. Ultimately, it is up to you to choose which one would serve you the best. 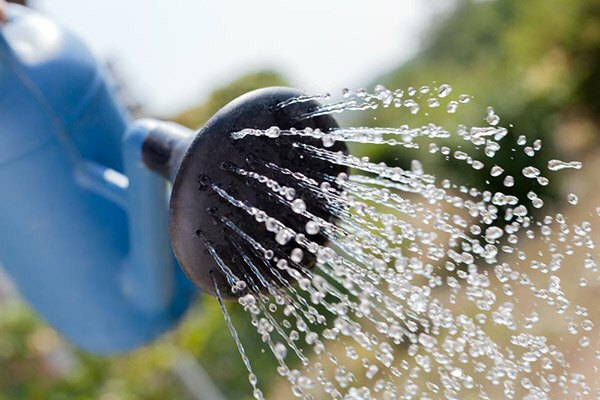 Although a small part of the watering can, the spout’s length and position can make a notable difference in how you can efficiently water your plants. Especially if you have items like hanging plants, it helps to go with a longer spout to cover the distance. In addition, it helps to have the spout positioned higher from the container area of the can. This is to ensure that no water overflows, and that you can pick up as much water as you can, without wasting any of it. Comfort is key when it comes to can handles—after all, you will be holding onto it for a considerable period of time, and without some cushion, it can make for an unpleasant situation. Some watering cans may or may not come with built-in cushion, so you might need to invest extra in one—anything to feel good, really! Aside from that, the shape of the handles makes a difference, too. It helps to have both top and back handles not only for pouring, but also for lifting when it comes to replenishing water for another round. Style is one thing, but convenience is another (and important one, too)! 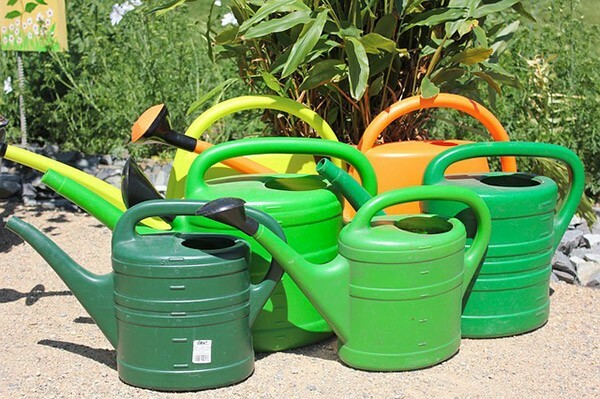 While not obligatory, having measurement markings on the watering can itself can make gardening a lot easier, especially when you know that certain plants, flowers, and crops need a specific amount each time. Whether measured by the gallon or liter, these markings make it a convenience. They can also be used for measuring other items, like fertilizer and other gardening solutions, should you choose to start a new garden bed in your backyard. Now, you do not need to bring out any other tools to do so, thereby saving time in the process for tending to your garden’s needs. While an extremely minor detail, the rose of the watering can, i.e. tip of the spout, is crucial for the sake of watering your garden well. After all, it is where the water comes out, and so it is a matter of finding one that does not get easily blocked by debris, as well as having a filtering system to keep it clean at all times. In addition, you might want to choose between a rose that sprinkles rather than pours out water, depending on how much your flowers and crops need it. Some roses can even be removable, for an easy switching-out process for just about anything grown in your garden. 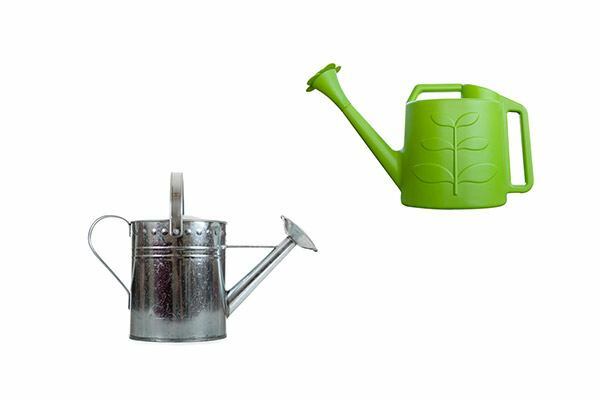 Finally, it is essential that your watering can is able to hold up, whether on its own or filled with water. This indicates that it is able to be used for a long time, thereby making it worth the purchase as well as beautifying your backyard garden. Made from stainless steel, IMEEA’s watering can offers both quality and durability that you cannot deny is good. Being stainless, it prevents any scratches, corrosion, or tarnishing from happening, thereby leaving it in pristine, mint condition for years to come. Aside from that, it does an excellent job of increasing humidity through flowers and crops, so as to help them flourish wonderfully over time. Made from stainless steel for quality and durability. Prevents scratches, corrosion, or tarnishing. Creates a humid environment for plants to flourish. Holds slightly less than the expected 900 mL. IMEEA’s stainless steel watering can blew me away with its durability: after months of using it, the watering can has yet to see a scratch or dent on its tough surface! Also love how it generously waters my plants, although I do wish that it would hold the full 900 mL that it says on its package (holds a bit less). 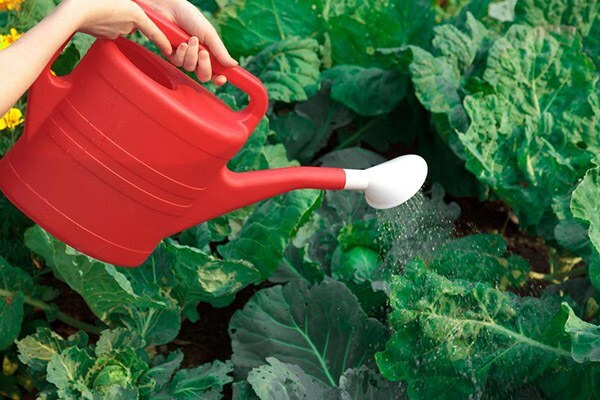 Lightweight at only 0.7 pounds (unfilled), Union Products’ two-gallon watering can is easy to carry around, especially useful if you have a large garden bed to tend to. Besides that, it comes with a removable rose, so that you can remove and attach all sorts of different ones for sprinkling or pouring, based on your garden’s needs. Lightweight at only 0.7 pounds. Fills up to two gallons. Comes with a removable rose for sprinkling or pouring. Water comes out rather slowly, suspecting blockage. I really liked just how light Union Products’ watering can was: even after I filled it up to the brim, I had no trouble carrying it around with me whilst tending to my garden. Its two-gallon limit was reasonable, let alone plenty, for watering all that needed to be watered. The removable rose was wonderfully convenient, for I was able to easily switch out a sprinkler for a pouring rose. My only gripe is the fact that water comes out too slowly; I suspect that it gets easily blocked. At a remarkable 0.3 pounds, this two-quart watering can from Union is sure to be a cinch when it comes to watering your precious plants, whether indoors or outdoors. Made from plastic, it is naturally lightweight and it is ideal to use for hydrating your windowsill plants and any other small objects that you desire to plant at home. Incredibly lightweight at 0.3 pounds. Water spills out easily on top, so spout positioning could be improved. Union’s Elephant watering can was adorably small when I first took it out of the package. While it might not be useful for watering large-scale gardens, it certainly does the trick for windowsill plants and smaller items. My only complaint, however, is that the water spills out easily from the top of the can, thereby wasting water in the process. Perfect for indoor use, this aesthetically-pleasing watering can from Novelty sure knows how to combine style with practicality. Besides having a cute, indented flower on the side, it also comes with a curved handle designed for comfort and easy use. It is also made from recyclable material, thereby leaving a positive impact on the environment. Designed with a curved handle for comfort and convenience of use. Does not pour much water out as expected. I found Novelty’s watering can to be incredibly cute, let alone so comfortable when I first put it to good use. I also appreciated the fact that it is made from recyclable material, thus keeping the environment sustainable in the years to come. However, it does not pour very well, no matter how much I tilt the watering can over. What makes OXO’s watering can distinctive from others is that it combines comfort, efficiency, and utility into a single object for the gardener’s pleasure. More specifically, it comes with a soft, non-slip handle that is sure to make holding the watering can a pleasant experience for long periods of time, as well as a rotating spout that can save space when storing it at the end of the day. Finally, it has storage space for removable roses, should you need someplace convenient to keep them. Comes with a soft, non-slip handle for ultimate comfort. Has a rotating spout to save storage space. Contains space for storing removable roses. Can leak from the spout-rose connector. OXO’s watering can turned out to be a solid investment when I first purchased it; I was so happy to feel its soft, comfortable handles, which served me well for watering without feeling pain. The rotating spout was a unique design, and I had no problem storing it in the smallest spaces after work. Granted, it tends to leak slightly between the spout and rose connector, but not too much. Overall, OXO Good Grips Indoor Pour & Store Watering Can, Green (#5) is the winner of this roundup. Being almost flawless in design, it serves as the ultimate comfortable watering can with convenience and space to keep your flowers and crops looking good all year-round. It is worth a look, should you need one!